The edgeNEXUS Web Application Firewall provides application level security for your web based applications. 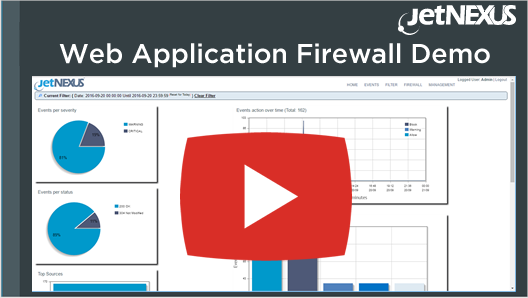 Satisfy PCI-DSS and OWASP application firewall requirements. Using leading edge containerisation technology to isolate each application firewall instance. Fast and easy to deploy and configure. The edgeNEXUS Web Application Firewall incorporates industry leading, hardened firewall technology to provide Layer 7 application protection for your web-based applications. The edgeNEXUS Web Application Firewall is incredibly powerful yet simple to deploy and configure, supporting both PCI-DSS and OWASP firewall requirements. edgeNEXUS utilises containerisation technology to isolate each application firewall instance. This can be used for running multiple applications, multi tenancy or implementing a multi-layered security architecture. The edgeNEXUS Application Firewall is a virtual appliance (Isolated container) that protects Web applications by controlling the conversation between the application and clients. It runs at the application layer and aims to fill the security gap that traditional firewalls fail to address. It can be download via the app store here and new rules can be downloaded here. 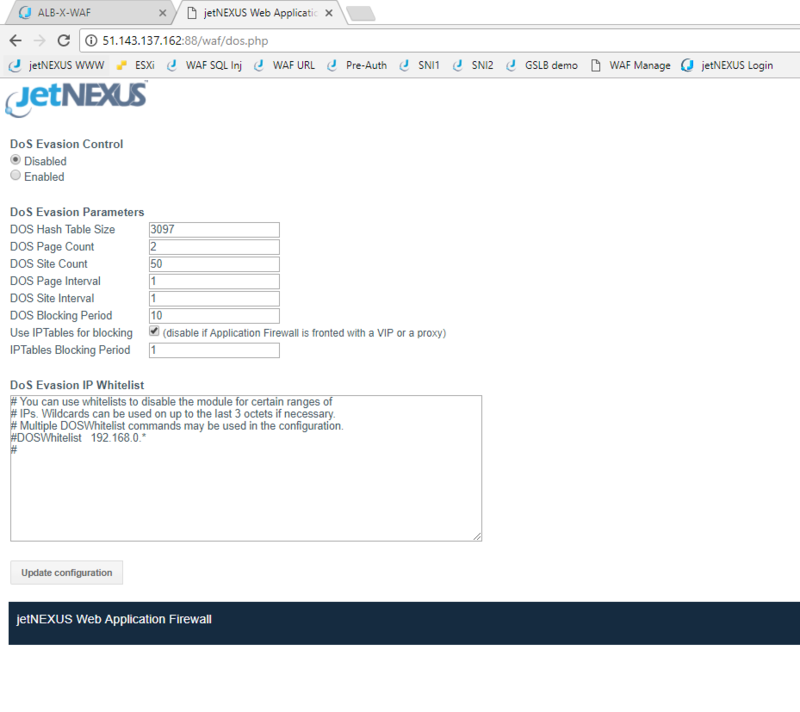 How does the edgeNEXUS Web Application Firewall work? 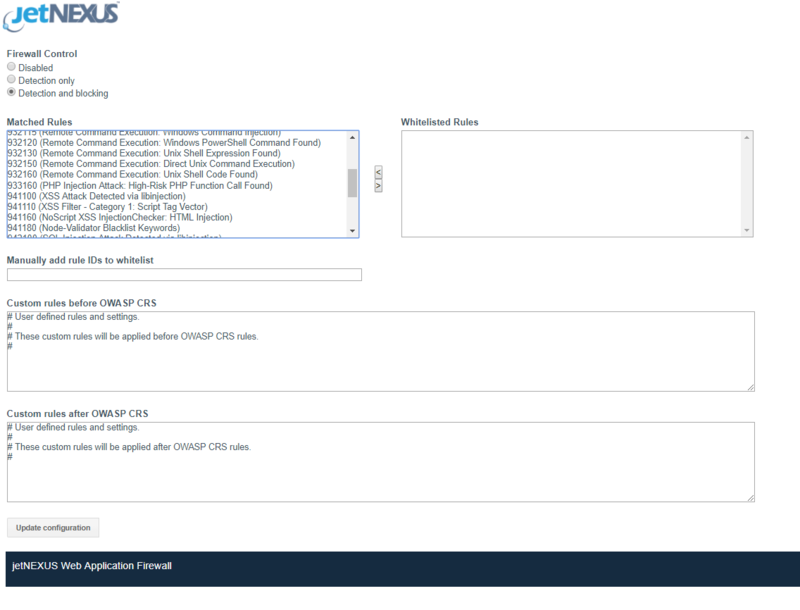 The edgeNEXUS Web Application Firewall controls the input, output and access to and from an application by inspecting the HTTP conversation between the application and clients according to a set of rules. These rules cover common attacks such as cross-site scripting (XSS), SQL injection, session hijacking and buffer overflows which network firewalls and intrusion detection systems are often not capable of doing. The rules may be also used to enforce security policies required by PCI DSS or other security standards in order to block leakage of sensitive information like credit card numbers. 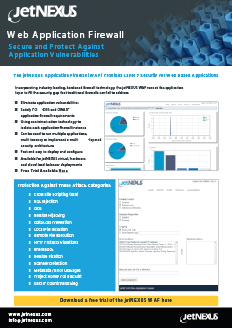 By customising the rules to your application, many attacks can be identified and blocked. The effort to perform this customisation can be significant and needs to be maintained as the application is modified. A Set of PCI DSS rules come as standard to the product and can updates (assuming a valid support contract) via the software update function of the ALB-X.